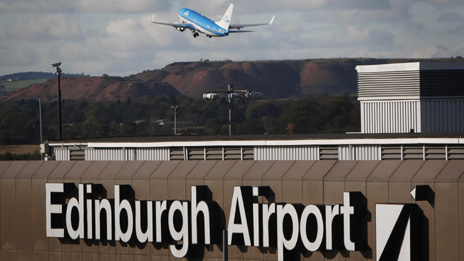 A deal has been struck to sell Edinburgh Airport to the owner of Gatwick and London City airports for £807m. GIP has beaten a consortium led by another infrastructure investor, JP Morgan Asset Management. The sale price, slightly more than expected, is payable in full at closing of the deal, expected in May. It is thought that GIP intends to improve the speed at which passengers move through the airport at check-in, security and baggage handling, and to link the airport with new routes. Its investment pattern is to sell the asset on after about 7 years. GIP is said to have improved the passenger experience at Gatwick. Edinburgh airport handled 9.5m passengers last year, caters for about 40 airlines, serves more than 100 destinations and currently generates around £50m EBITDA annually. A deal has been struck to sell Edinburgh Airport to the owner of Gatwick and London City airports for £807m. Global Infrastructure Partnership (GIP) has beaten off competition from a consortium led by another infrastructure investor, JP Morgan Asset Management. The operator BAA was ordered to sell either Edinburgh or Glasgow airports. The sale price is payable in full at closing of the deal, expected in May. Edinburgh Airport was put on the market by its owner BAA last October, after the Competition Commission ruled that it had to sell either Edinburgh or Glasgow. The winning price, expected to be paid at the end of May, is considerably more than had been expected. Adebayo Ogunlesi, chairman and managing partner of GIP, said: “Edinburgh Airport is a high quality infrastructure asset. Its acquisition is a landmark deal for GIP and represents the first investment by GIP II. Colin Matthews, chief executive of BAA, said: “Edinburgh Airport and its team have been part of BAA for a long time and we are proud of its achievements. “We wish the new owners every success and are confident the airport will continue to flourish. Global Infrastructure Partners, the owner of Gatwick and City airport, is poised to acquire Edinburgh airport for around £850m. The investment firm is in advanced discussions to buy the Scottish airport from Heathrow owner BAA and a deal could be announced as early as today, The Daily Telegraph has learned. GIP, founded by former dealmakers from Credit Suisse and General Electric, has been vying with a consortium led by JP Morgan’s infrastructure fund to buy the asset. Barring an eleventh hour hitch, City sources said GIP is now the clear “front runner” to win the contest following the second and final round of bidding last Tuesday. The airport will bolster GIP’s position as one of the leading airport owners in Britain. The investment company bought Gatwick airport from BAA three years ago for £1.5bn. JP Morgan’s infrastructure fund was working with Korea’s Incheon International Airport and Tiaa-Cref, a huge American teachers’ pension fund, on the bid for Edinburgh airport. Sources claimed Tiaa-Cref recently dropped out of JP Morgan’s consortium which may have weakened its tilt for the Scottish capital’s airport. BAA, a division of the Spanish infrastructure company Ferrovial, has been forced to sell Edinburgh after regulators decided it controlled too much of the UK market. The company was ordered to off-load three of its airports. Some of the other parties that looked at buying Edinburgh airport – which handled 9.5m passengers last year, caters for about 40 airlines and serves more than 100 destinations – included private equity firms, Carlyle and 3i. The private equity groups dropped out, apparently because of the high price the asset was commanding. The price tag is considered impressive by analysts since the airport currently generates around £50m before interest, taxes, depreciation, and amortization (ebitda) on sales of £110m. But, unlike other airports, the price is not hampered by the “regulatory asset base” or RAB which is a proxy value for the asset set by the regulator. Meanwhile,experts said the price is not unreasonable in an environment where infrastructure assets are in hot demand. BAA and GIP both declined to comment. and http://news.bbc.co.uk/1/hi/business/6039686.stm possibly sold to AIG in 2006 for £750 million. How to BAA and GIP annual passenger numbers compare? Posted: Monday, April 23rd, 2012. Filed in General News, News about Airports, Recent News.